Swim School - Aquamoves – Indoor and outdoor pools, fitness facilities and programs in Shepparton, Victoria. When am I too sick to attend swimming lessons? 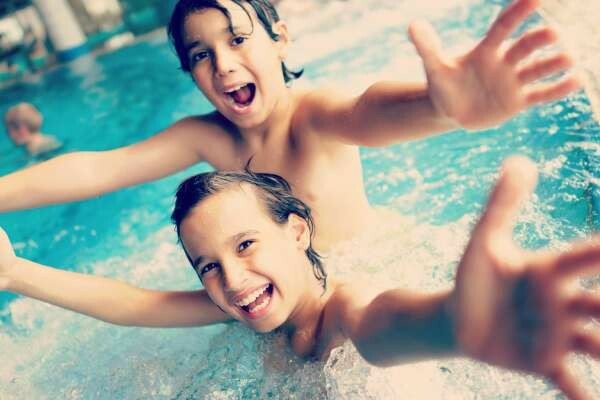 The Swim and Survive program ensures that each individual develops strong and effective swimming technique as well as learning essential components of personal survival and water safety. The Swim and Survive program has a clearly defined program pathway with set competencies for each level. All of our dedicated teachers are qualified swimming instructors and many hold additional qualifications in infant aquatics, competitive stroke and access and inclusion. Provide a safe and friendly learning environment. Provide a basis for children to continue aquatic activities either recreationally, competitively or through life saving. Develop an awareness of potential dangers in and around water and teach a range of swimming safety and survival skills. Progressively refine both competitive and survival strokes. To provide excellent customer service to meet our patrons’ needs. Classes may be available weekdays from 9.00am until 12.00pm and 3.30pm until 7.00pm, Monday to Friday and 9.00am to 1.00pm on Saturdays. Please contact Aquatic HQ on 03 5832 9400 or email swimschool@aquamoves.com.au for availability of specific class times. Click below to download a Swim School registration form. The timetable for all Aquamoves aquatic programs (including swimming lessons, swim clubs and squads) is available in the PDF flyer below. Two lanes in the 25m pool are always available to the general public, with a minimum one lane always reserved for lap swimming. Lanes are also utilised for Learn to Swim and on weekdays for School Swimming Lessons. For more details on lane space availability and bookings, please phone Customer Service on 03 5832 9400. No lock in contract, cancel with just 14 days’ notice. Automatic roll over each term. FREE swimming all year round; including Aquamoves indoor and outdoor pools, Splash Park and the rural pools at Mooroopna, Tatura and Merrigum. Easy Pay fees are debited from your nominated bank account or credit card every second Thursday. Fees are calculated on the number of lessons per year and are split across 26 fortnightly payments. A 10% family discount will apply to the third child and any subsequent children enrolling from the same family in the same term. Term payment lessons are calculated on the number of lessons per term. It's never too late to learn! Aquamoves conducts friendly and relaxed classes for adults incorporating water confidence, safety skills and stroke development. Lessons are designed to cater for swimming levels of all abilities, from beginner right through to advanced levels. A water familiarisation program for parents and their children aged 6 - 36 months. Wonder represents the first stage in a lifetime of fun and safety in the water. Children will explore the sensations of buoyancy and movement, with the security of having the parent close by. Parents will learn to be a strong part of their child’s aquatic education through activities that provide for the developing of water familiarisation, exploration and water safety skills. Wonder is a child centred program which is taught with parent or carer and child together in the water. It uses songs, games and activities to teach children. A program that builds water confidence for preschool aged children between the ages of 3 - 5 years. Courage is fundamental to the development of basic foundation skills in swimming, survival and waters safety. Courage is the water confidence component of the swim and survive program and is designed for children 3 to 5 years. 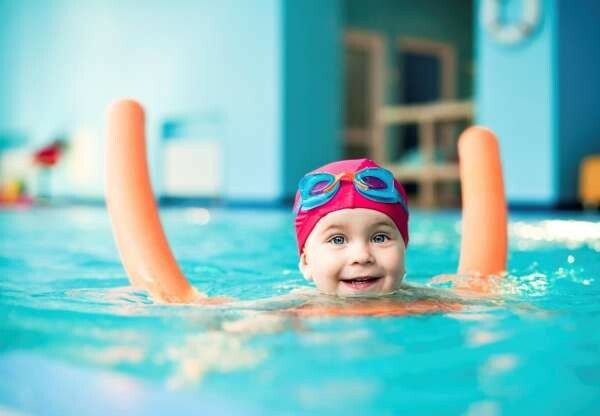 Swim and survive courage guides children through fun and safe activities, gradually building upon their breathing, floating and movement skills, supporting and encouraging independence. The courage program progresses from initial parental participation to children developing trust and learning through acting independently with the instructor. A swimming and water safety program for school aged children between the ages of 5 - 14 years. Active is the swimming and water safety component of the swim and survive program. Swim and survive active is a broad and balanced program teaching a range of skills and knowledge to develop swimming, water safety, survival and basic rescue skills. Swim and survive Active is a swimming and personal aquatic survival program that is aligned to the National Swimming and Water Safety Framework. The Bronze Star, Medallion and Cross are designed for participants that love the water and wish to learn more about life saving skills, fitness and stroke improvement in a social and seriously fun environment. Participants enrolled in this class work towards obtaining their nationally accredited Bronze certification. Please note: Bronze Award classes are one hour in duration. Day and times: Bronze Medallion runs Fridays from 5.15pm to 6.15pm, Bronze Cross runs Fridays 6.15pm to 7.15pm. PWD classes are conducted in a friendly, enjoyable atmosphere by instructors holding current Teacher of Access and Inclusion qualifications. The classes will be developed upon the needs of participant/s in order to capitalise on the individual’s abilities. Please contact Aquatic HQ to discuss the options available. Swim School participants can join Transition Squad upon completion of level Active 4 or upon an assessment. Strong focus is placed on stroke technique and development, building endurance levels that allow participants to swim increased distances. Aquamoves Squad sessions provide a swimming environment that allows participants to develop their swimming potential in terms of both stroke technique, fitness and endurance. Squad training has the potential to lead to competitive swimming opportunities for participants. Aquamoves runs an intensive swimming program during the school holidays. Choose between a one or two week program offering an intensive 45 minute swim lesson each day. These are a great opportunity to improve your child's swimming ability. Days and times: Aquamoves' Express Lessons Holiday Progam usually runs from 9.00am to 12.00pm Monday to Friday during school holidays, subject to enrolments. Click the PDF below to view our factsheet detailing when you or your child may be too sick to get in the water.